Centrum Wiskunde & Informatica: Welcome to ACM C&C 2017 in Singapore! Welcome to ACM C&C 2017 in Singapore! Shamma, D.A, Yew, J, & Do, E.Y.-L. (2017). Welcome to ACM C&C 2017 in Singapore!. 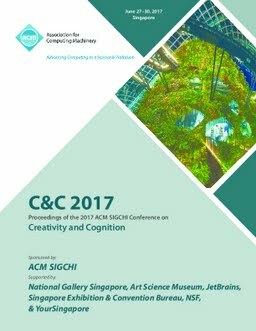 C and C 2017 - Proceedings of the 2017 ACM SIGCHI Conference on Creativity and Cognition.